Established for the collection of articles, texts, any content from third party websites or sources. Built-in unequalizing text, increases indexpost search engines. The script requires only the address(url) of the website, the desired section or sections and all the script does the rest, automatically determines the content and pulls it, separating it from the garbage. Do not waste time on manual collection of content! 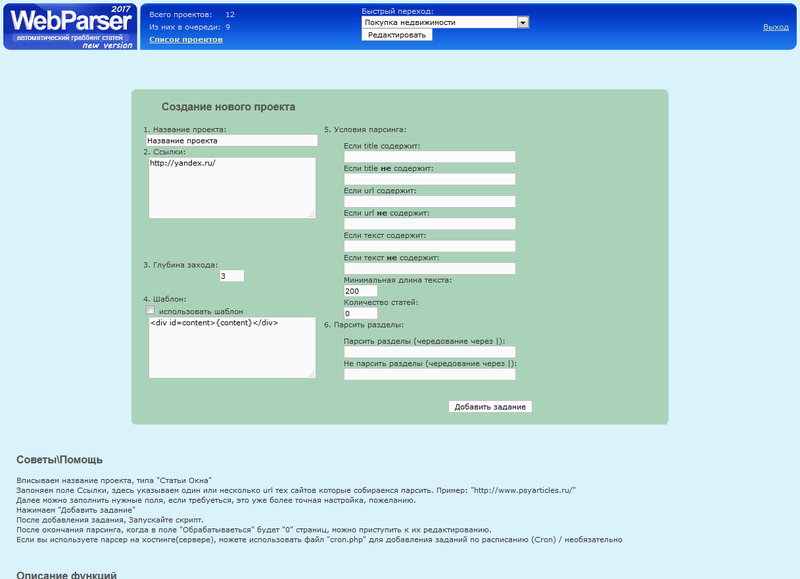 The product "WebParser" is my own creation! Free distribution and resale is prohibited. 1. Start writing a script url site with articles. 2. The script comes to all pages of the site and ship out of the article. 3. The script itself throws debris from the page, leaving only article. 1. Specify from what sections of the site you need to parse the article. 2. Specify which words the text should contain (eg, windows). 3. Specify the minimum length text. 4. Use the auto-detection of the article (the script will determine the article on the page), or you can specify a pattern to parse (points between some pieces of code page must be an article). edit received articles, both manually and automatically. 5. Use sinonimayzer (reference 308000). 6. 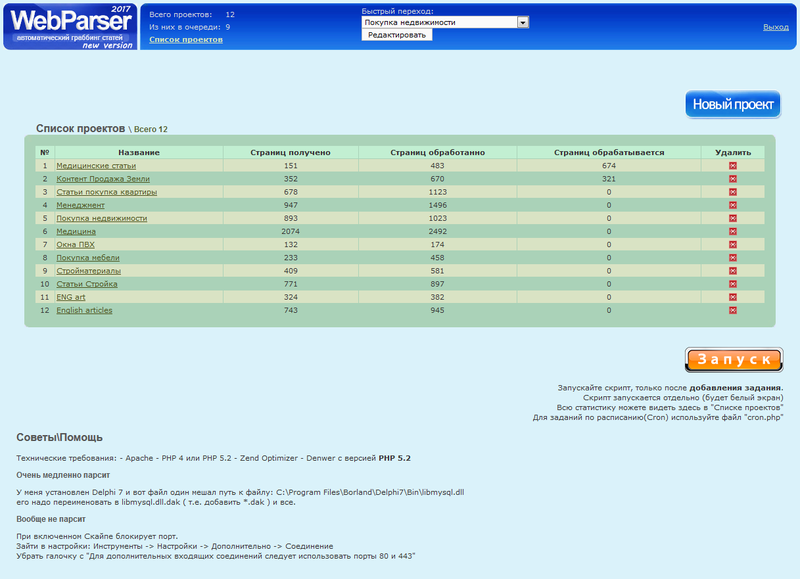 Export Isolzovat received articles in txt, html, php. 1. TXT - a text format. You can export to a text file, or several, of the pattern. 2. HTML - you can specify a template to export the output to get the archive pages. It works locally on the computer and Denver hosting (server). Caution We do not guarantee that the script will work on any hosting. You understand this is not some kind of CMS is a complex tool. Contact a support and advise you hosting provider whose script will work just fine. When leaving positive reviews, you get a nice bonus to your email.